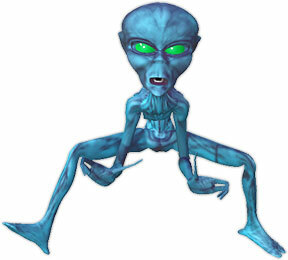 You may use our aliens and animated clipart to enhance your websites. Mostly, the aliens on this page are on the move in one fashion or another. Simply download the animations of choice and upload to your server. Space aliens can be bad drivers, too. Alien arriving on earth. Where's the parachute? Alien tossed out of first earth bar at night. Blue alien on the move. 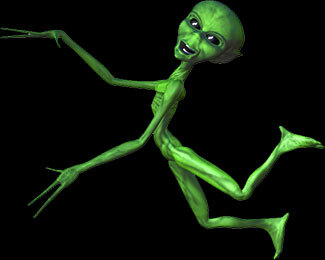 Green conehead alien on the move. Alien tossed out of his first earth bar. 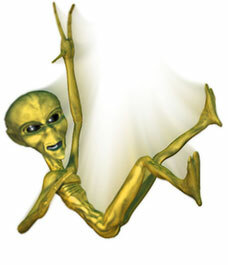 Space alien falling to earth. He comes in peace. 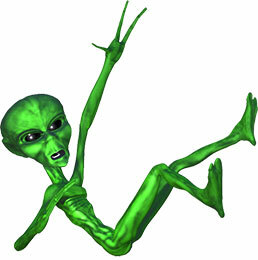 If you use our space clipart please give us credit. 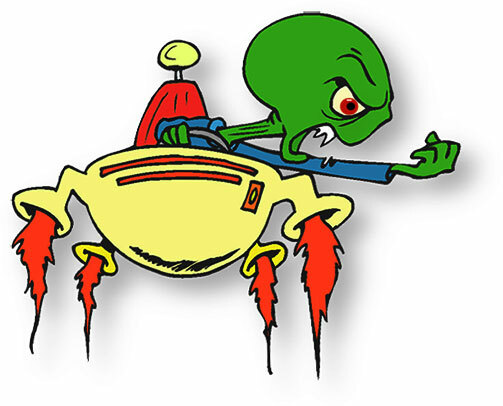 Dark aliens, fun aliens, space alien graphics, science fiction, sci-fi, space aliens, space ships, transporters, space craft gifs, clip art.